The Michigan Democratic Party is expanding its effort to kickstart the absentee voting process online. Party officials announced Thursday that voters statewide can now apply for absentee ballots online, through the website miabsentee.com. The site is designed for mobile internet devices. MDP chair Lon Johnson said this is about merging two trends: more people choosing absentee voting, and the growing use of mobile devices. “What we’ve done is try and merge the two, and give people the ability to apply to absentee vote, using their mobile phone or their tablet,” said Johnson. Johnson says applications submitted online are then faxed to county clerks, who must still decide if the applicant qualifies to vote absentee. Johnson said more than 27% of all votes cast in Michigan’s November 2012 election were by absentee ballot, and that number is projected to keep climbing. 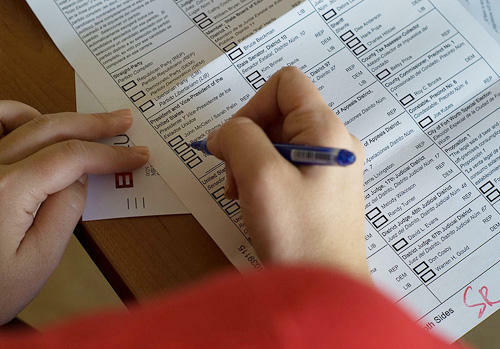 The website just allows voters to submit absentee ballot applications online. Local clerks still need to review them, and decide if applicants meet state criteria to vote absentee. Detroit voters will now be able to access, sign and submit absentee ballot applications on their smartphones. Detroit city clerk Janice Winfrey and Michigan Democratic Party Chair Lon Johnson announced the new initiative Wednesday. Winfrey said it’s simply a matter of meeting voters where they tend to be these days—online. “So why not? Why not be able to use their smartphone to request an absentee ballot?” Winfrey asked. How can our voting system be improved? 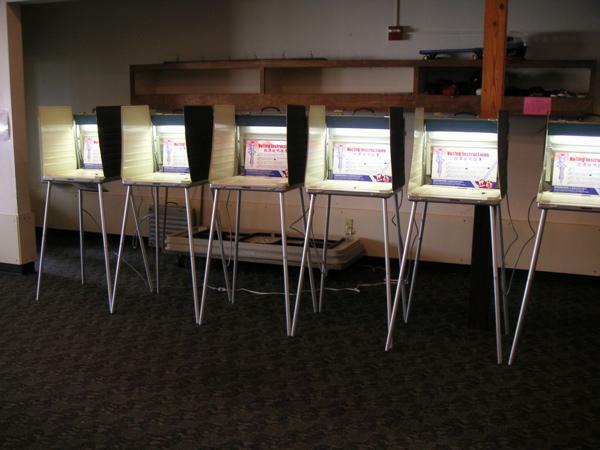 During his recent State of the Union speech, President Obama made passing mention of our voting system. "Citizenship means standing up for everyone’s right to vote. Last year, part of the Voting Rights Act was weakened. But conservative Republicans and liberal Democrats are working together to strengthen it, and the bipartisan commission I appointed last year has offered reforms so that no one has to wait more than a half hour to vote. Let’s support these efforts. It should be the power of our vote, not the size of our bank account, that drives our democracy." So, the voting system is on the president's mind. So, too, is it on the mind of Michigan Radio's political commentator Jack Lessenberry. He joined us today to discuss the problems he has noticed with our voting system.